A Conversion to a solar geyser has minimal complexities involved. Your existing geyser stays intact while the solar collector gets installed on the roof. Circulation of water takes place by an inlet and outlet which is connected to both the geyser and the collector. 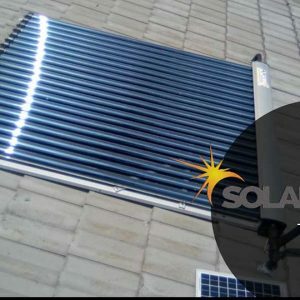 Heating of water by radiation from the sun with the solar collector, therefore, when the temperature rises of water in the collector, the water circulation will start automatically. Cold water enters the collector while warm water is pushed to your existing geyser which acts as a tank. Converting to a solar geyser has never been so easy. Solar Guru is your trusted solar geysers conversion specialist. Solar geyser conversions for sale at Solar Guru are offered at excellent prices. 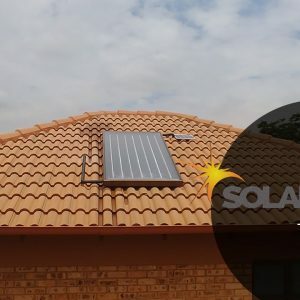 Our solar geyser conversion prices also include all installation fees which already makes the solar geyser conversion less of a hassle. Solar geyser conversion prices provided by Solar Guru is very competitive although we only sell high-quality solar geysers you can trust. If saving on electrical expenses is a priority to you, a retrofit solar geyser conversion kit is an excellent option for you. About 50% of your electrical expenses are directly connected with your electrical geyser. 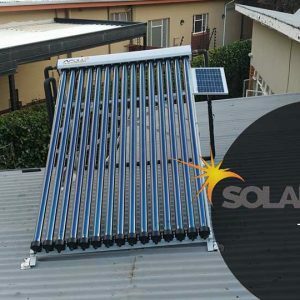 With our high quality and excellent solar geyser conversion products offered, wouldn’t it be nice if you could see a decrease in the number of expenses on your bills? Never yell at your bills again and go solar, convert to a solar geyser at Solar Guru today!